Providing support and practical assistance to our neighbors is the priority of our Caring activities. 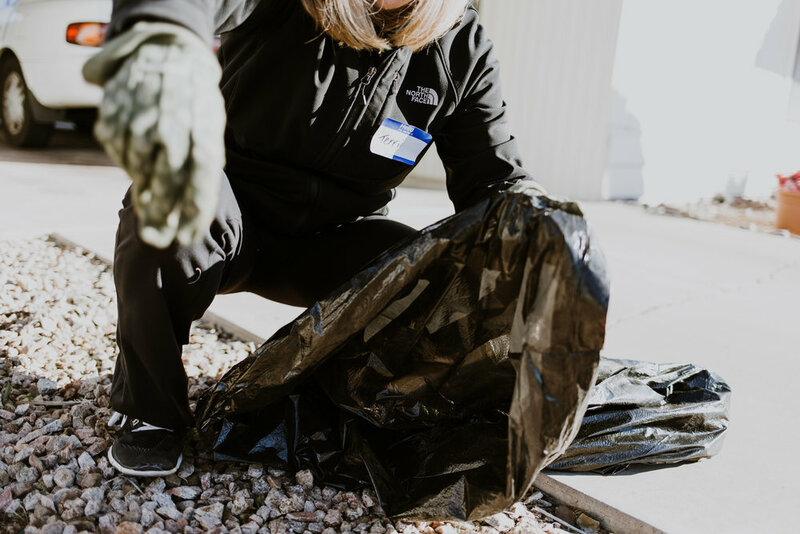 Bringing together volunteers to work side-by-side with residents, we have been working together to restore beauty and dignity in the lives of our neighbors. Monthly Saturday Service Days support elderly, disabled, and single parents with yard work and minor home repairs, as well as deliver of food and encouragement to our senior adults in a nearby apartment complex. Custom-planned service day for business and service groups also assist neighbors with home improvement projects. In whatever way possible, we strive to promote compassionate connections with those we serve, one neighbor to another.